Every year the parents get mooncakes from work but they know better than to bring everything home. It’ll just be a waste! Dad brought 1 red bean and 1 lotus macadamia from Man Fu Yuan home. Did’t really like either but I’m just posting for the record…. 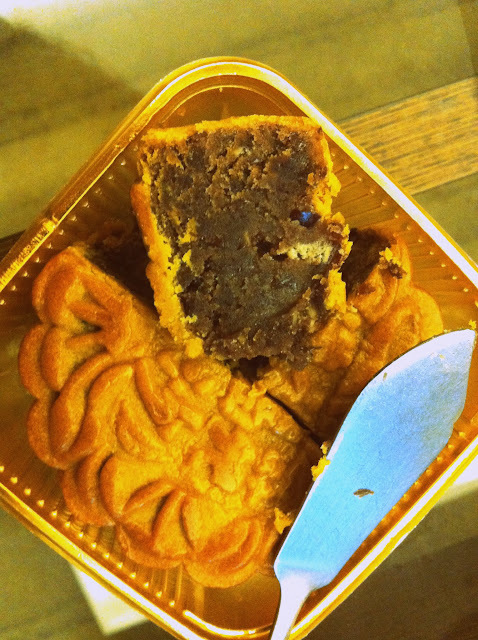 Between the two we preferred the lotus paste with macadamia…. but that doesn’t say much since we didn’t like the red bean aha. Can you see how dry it is?! Obviously we had a slice of Da Zhong Guo after this. 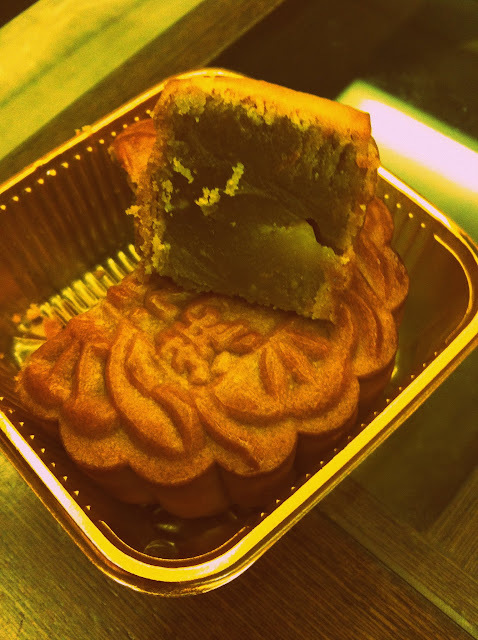 That said the skins of both mooncakes were baked well. Soft, and they didn’t separate from the filling.